This story will be updated with information from the Attorney General’s Office after Wednesday’s briefing. UPDATE: Associate Attorney General Jeffery Strelzin said no evidence was found that could be related to Maura Murray’s disappearance during excavation at a home on Wednesday. “The only thing found was a piece of pottery or clay pipe,” Strelzin said. A portion of the basement was excavated and no human remains were found. The work was done jointly by New Hampshire State Police and the FBI, he said. Concord, NH – Attorney General Gordon J. MacDonald and New Hampshire State Police Colonel Christopher J. Wagner announce that Associate Attorney General Jeffery A. Strelzin will provide an update regarding today’s search of a single-family home located not far from Ms. Murray’s accident scene. 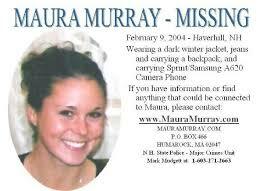 Maura Murray (age 21 at time of disappearance) went missing in February 2004. She had been a student at UMASS-Amherst college and left the college on February 9, 2004. At approximately 7:30 p.m. that night, Ms. Murray’s car was involved in what appeared to be a single-car accident on Route 112 (Route 112 is also known as Wild Ammonoosuc Road) in Haverhill, New Hampshire. Shortly afterwards, a private citizen saw and spoke to the female at the accident scene. However, when the police arrived she was not there. In years since she went missing, numerous searches of the area at and around the accident scene have been conducted by law enforcement authorities and private citizens, with no positive results. One of the areas searched over the years included a single family home, located not far from Ms. Murray’s accident scene.